A month before the Christmas holidays, SKY Pay-Per-View brings two romantic movies that reveal two contrasting stories of love. And in line with SKY's 25th anniversary, these movies may be enjoyed for only P25 each. That Thing Called Tadhana began as an independent hit that enjoyed a limited run in select cinemas. 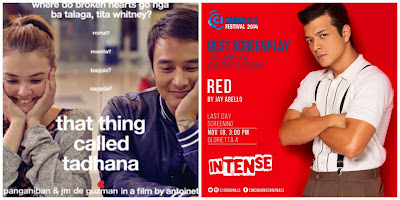 When fans on and offline called for a wider national release, the film starring Angelica Panganiban and JM de Guzman sky-rocketed to blockbuster status. The appeal of the film didn’t just come from the very relatable, down-to-earth back stories of the protagonists, but also from the natural charm and chemistry that the actors exude on-screen. Now for only P25 pesos, you can tune into the three-day unlimited viewing of That Thing Called Tadhana from the 15th to 30th of November 2015. The movie can be viewed through these channels: Ch. 702 (HD) and Ch. 22 (SD). You can also visit www.mysky.com/tadhana to immediately activate your Pay-Per-View subscription. 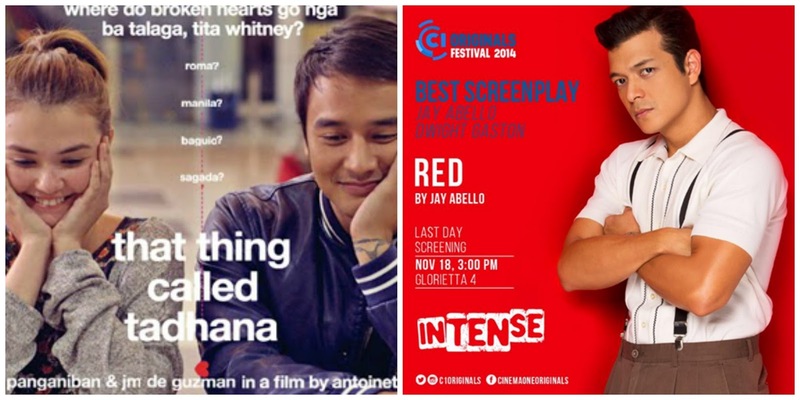 Jericho Rosales stars in the Cinema One Original Film, Red. The film revolves around the life of Red, an orphaned boy who was raised by the kindly Molo, the manager of a local girly bar. As the story progresses, viewers can witness how he grew into the town’s best fixer, attending to the needs of everyone around him – even if they belong to criminal elements. Fans of the independent movie scene can expect a moving story, on how Red pursues his love for Mai amidst all the chaos around him. Watch Red in both standard or high definition for just P25. The movie is available for a three-day unlimited viewing from the 15th to 30th of November 2015 on the following channels: Ch. 703 (HD) and Ch. 23 (SD. To activate your Pay-Per-View immediately, you can visit www.mysky.com.ph/red. These two heart-warming Pay-Per-View features can also be availed via SMS. To begin the registration process, text SKYBUY REG <insert your cable account #> <smartcard #> and text to 2331 (for Globe, TM, ABS-CBN, and Sun Cellular) or 231 (for Smart, and Talk ‘N Text). Once registered, text SKYBUY TADHANA SD (or HD for high definition), to subscribe to That Thing Called Tadhana; or SKYBUY RED SD (or HD for high definition), to subscribe to Red. For SMS registration, the standard rate of P2.50/text applies. Both Pay-Per-View movies can also be accessed via SKY On Demand. Only SKY cable provides quality home entertainment with the widest-range of standard and high definition digital channels; with over 200 channels, and other top-of-the-line services such as flexible subscription options via SELECT; iRECORD that records, pauses, and rewinds live TV; as well as real-time coverage of live concerts and sporting events via FREE VIEW and PAY-PER-VIEW.